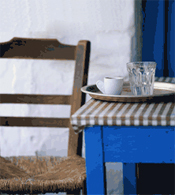 Here is a search engine where you can find Greek Restaurants all over the world! Copyright ©2001 - 2008 GreekCuisine.com. All rights reserved.